Gophers sophomore forward Michael Hurt will make his first career start Thursday night against Oral Roberts. Hurt, a Rochester, Minn. native, replaces junior guard Dupree McBrayer, who misses his second game of the season with a leg injury. The 6-foot-7, 220-pound Hurt averages 2.0 points and 1.6 rebounds in 12.1 minutes this season. 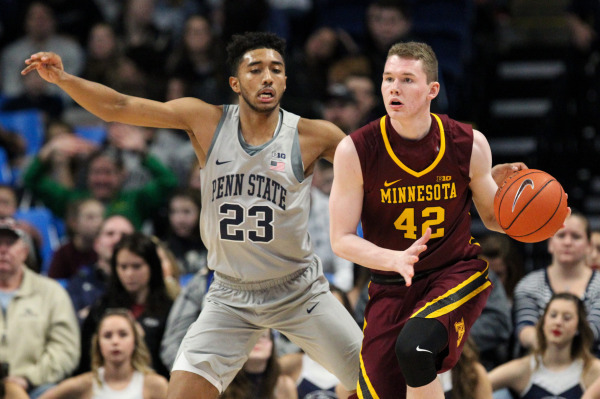 McBrayer missed the Nov. 29 loss against Miami (Fla.) with a right leg infection after losing 20 pounds and going to the hospital to receive medication. The New York native recovered from the leg infection, but a lower left leg injury is keeping him out Thursday night. Hurt was a member of the Gophers' 2016 recruiting class with Hopkins product Amir Coffey, who will move from the starting wing to shooting guard position for the first time this season. Coffey and Hurt finished 1-2 for the Minnesota Mr. Basketball Award as seniors in high school.